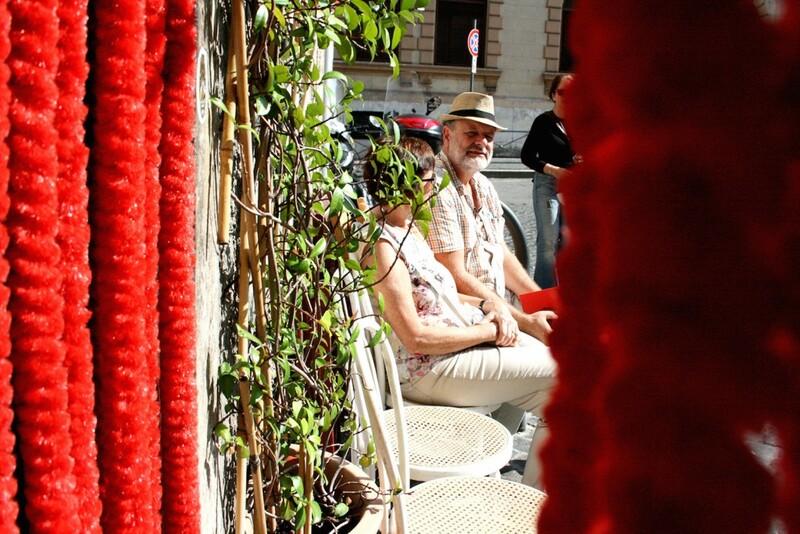 Authenticity is key when you travel and especially when traveling in Italy. You don’t want to get stuck in a restaurant that looks “Italian” only to eat mediocre food that’s probably not from the market but rather canned. 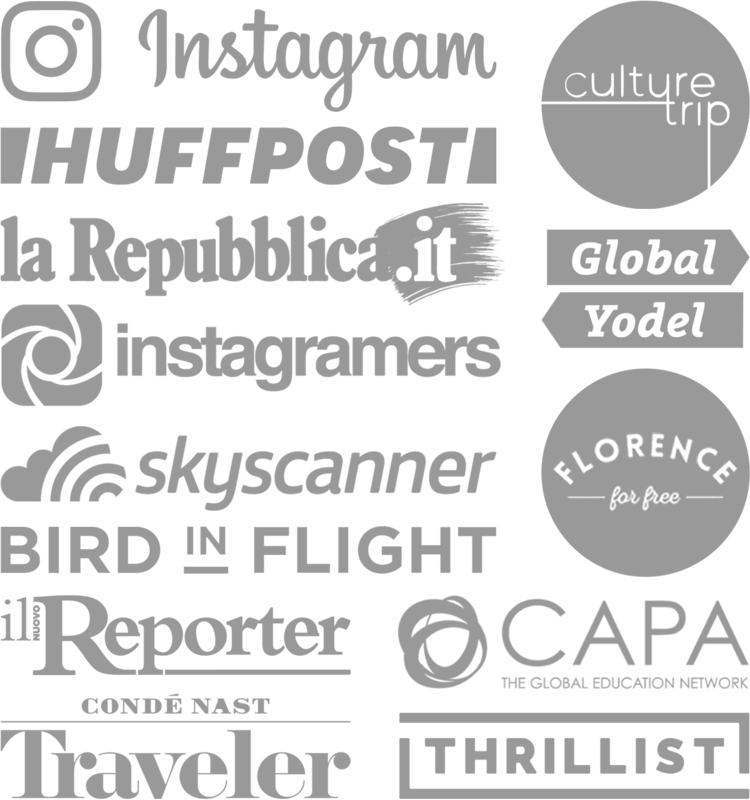 Yes, canned food exists in Italy, which is why I love to recommend the best places to eat, so you get the BEST experience. 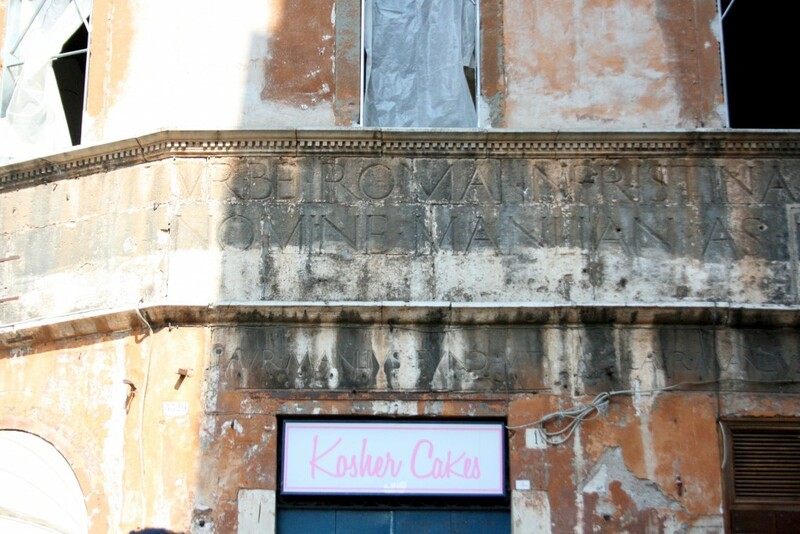 I took a quick peek at the Jewish Ghetto in Rome last December and was intrigued enough to go back. Annie, from Scooteroma Tours invited me down to join an Instagram event she organized with @cucinadigitale and @stereotoy, so I couldn’t say no! It was a full day riding vintage Fiats and classic Vespas, but aside from the wheels, we had an amazing lunch before the event…and time to wander the Ghetto. 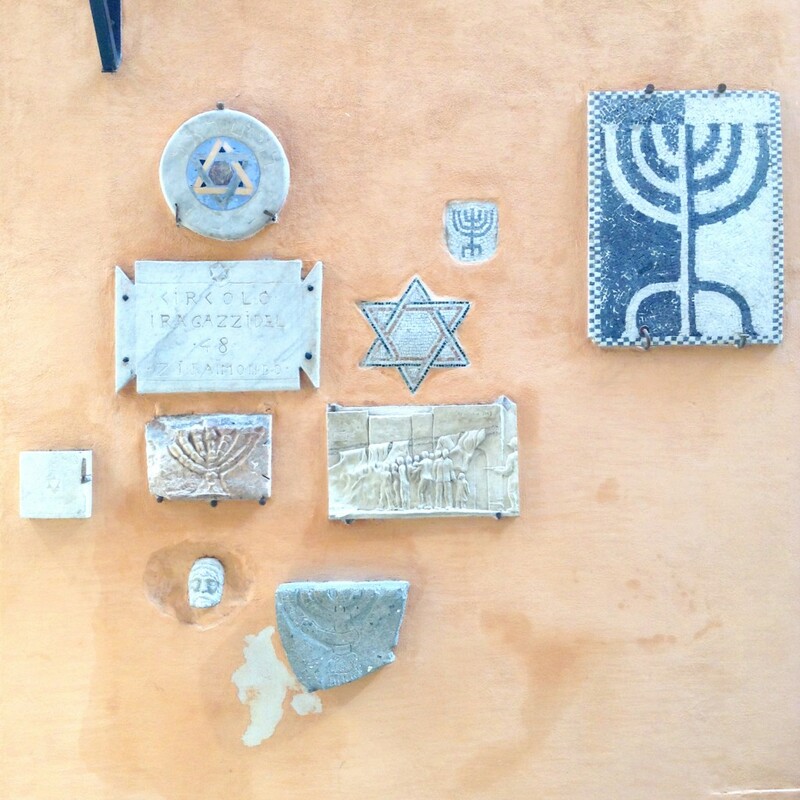 The Jewish Ghetto in Rome is beautiful, small and rustic. 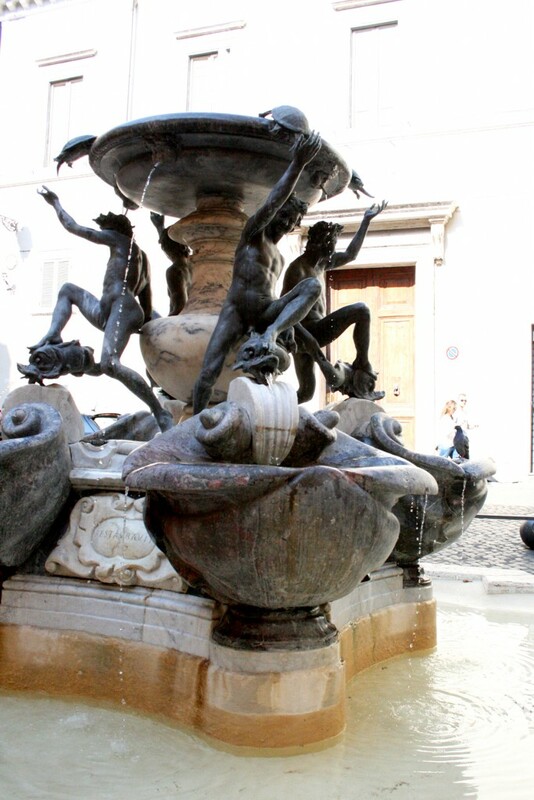 It was established in 1515 between the Tiber River and La Fontana delle Tartarughe. It was surrounded by walls with three gates that were locked at night; shockingly paid for by the Jews, by charge of the Romans. Once not allowed to own property in their own area, the neighborhood is now flourishing with high property demand, from both Jewish and Gentiles. Now onto the food! 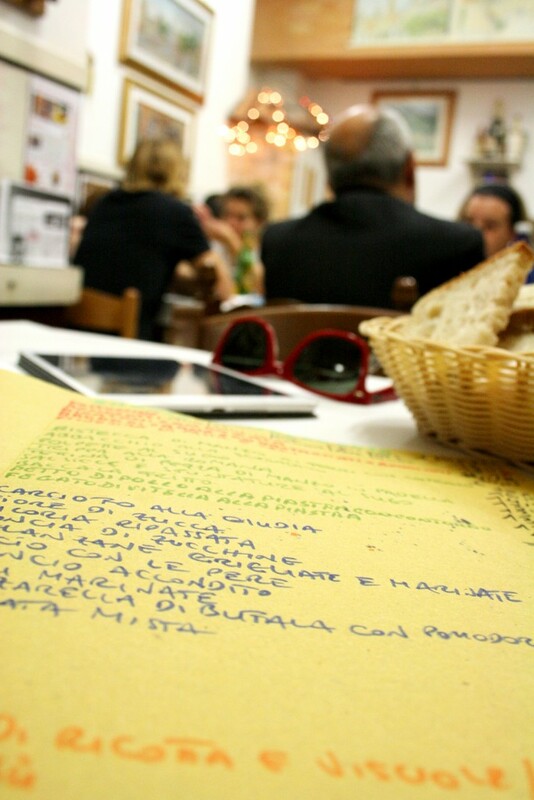 You can eat really well in Rome, but for a different experience I wanted to taste a local spot in the Jewish Ghetto. Annie said Sora Margherita is the place. Picturesque front entrance and tight quarters inside means it has to be good. The paper menu looks like a child sweetly hand painted the cover and the list inside was handwritten that morning; an even better sign that you’ll eat well. 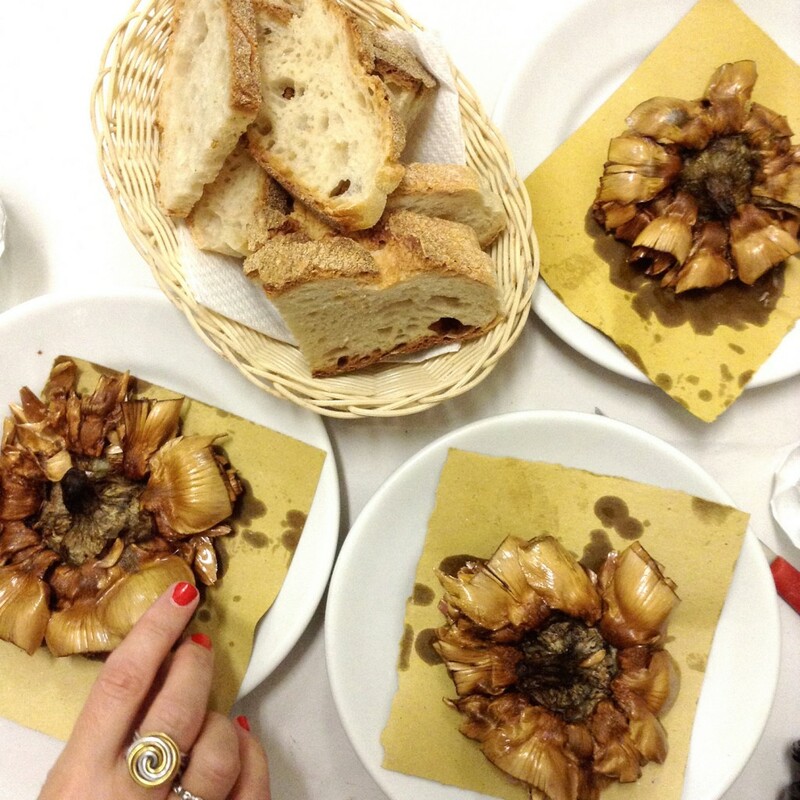 First course was fried zucchini flowers stuffed with cheese and anchovies accompanied with a round of fried Jewish-styled artichokes, carciofi alla giudia. 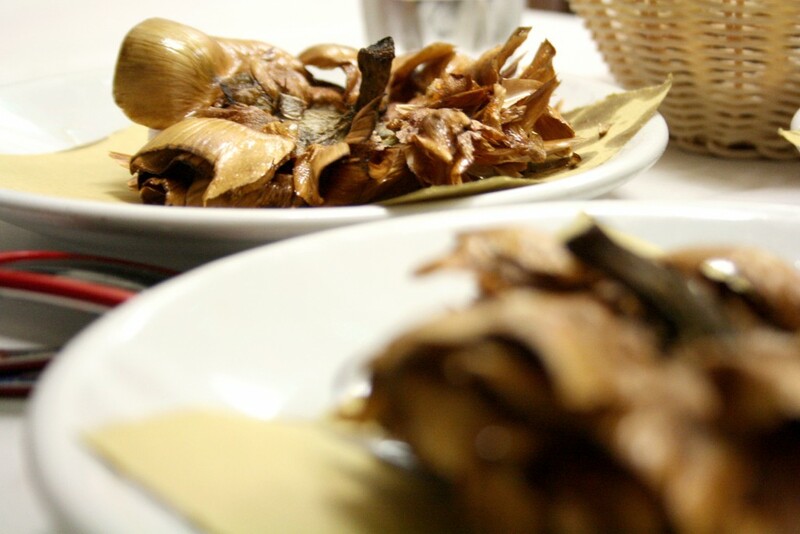 Now, fried artichokes sounds “whatever”, but I’ve NEVER eaten them like this! They’re beaten until they open and then without any batter they’re deep fried. It tasted like a cross between potato chips and baked pumpkin seeds. The heart was divine too, nice and tender. Second course was cacio e pepe, but of course since we’re at Sora you get a little extra something, so their traditional dish comes with a handful of ricotta on top. Their meat balls were flavorful and juicy. I loved that they serve half portions, which I recommend so you can try 4-5 dishes. 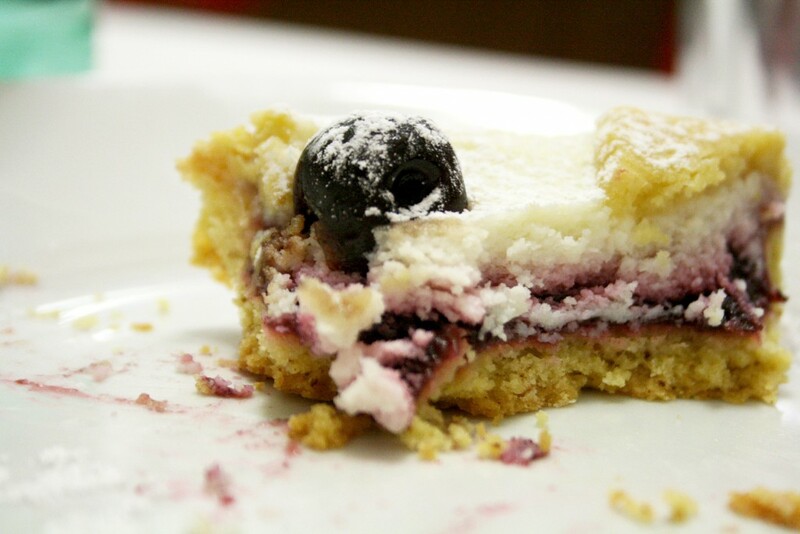 Dessert was a perfectly baked tart filled with ricotta and blueberry spread. Need I say more? Check out the edit on Instagram! 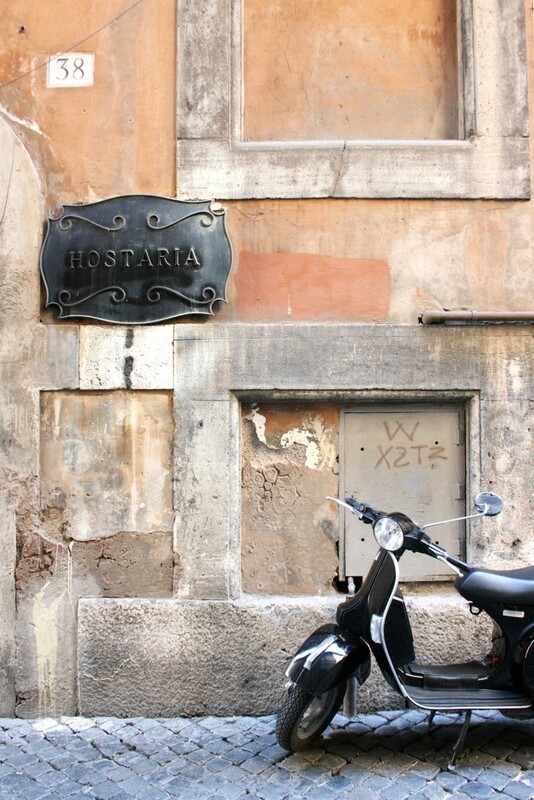 If you head to Rome you need to do two things: eat like a god and ride a vespa! 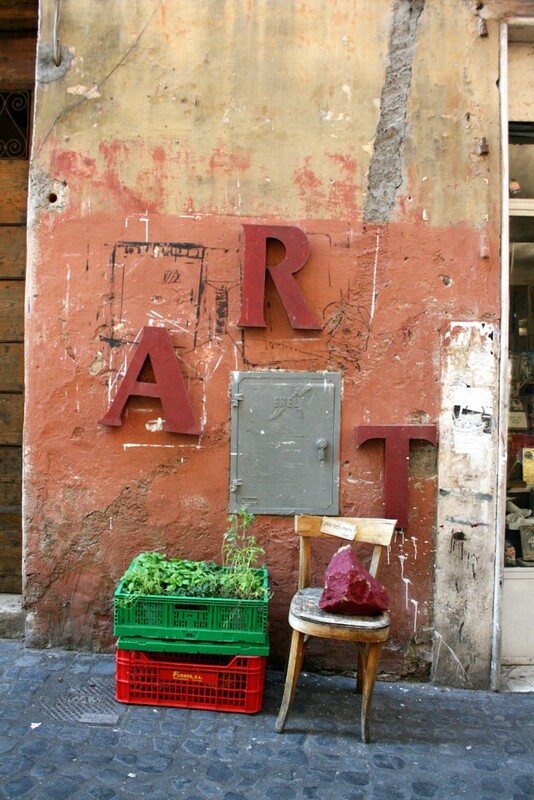 What’s your most memorable meal in Rome? Did you happen to stop into that bakery next to the “Kosher Cakes” sign? 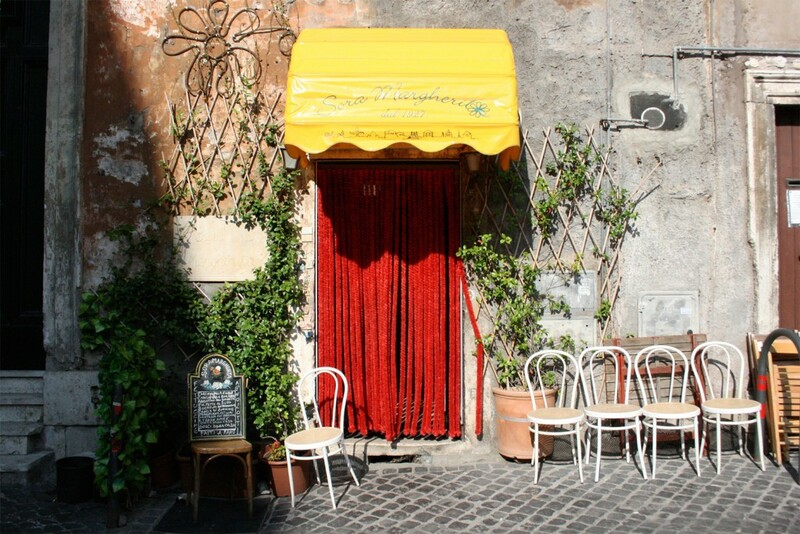 It was the site of my last breakfast in Italy on Friday. Their pizza ebraica is otherworldly delicious. It was closed, but I read that it’s amazing! I’m a sucker for fried artichokes and would love to try these! Eating like a god and taking a vespa for a spin sounds like one magical day, for sure. They were really amazing, it’s always fun to try something new. What I love about the world (not just Italy) is that cuisine changes every few hundred miles or less, so it’s exciting to have a whole different palette whenever I leave Florence.